MEXICO CITY – After losing the 2006 elections through fraud, Andres Manuel Lopez Obrador is once again vying for his country’s top office as Mexico prepares to go to the polls later this year. Running for the left-wing Party of the Democratic Revolution (PRD) and the Worker’s Party (PT), he is again offering a sharp break from the right-wing policies pursued by successive Party of the Institutional Revolution (PRI) and National Action Party (PAN) governments. He also said that he has laid the groundwork to ensure that electoral fraud does not take place again. 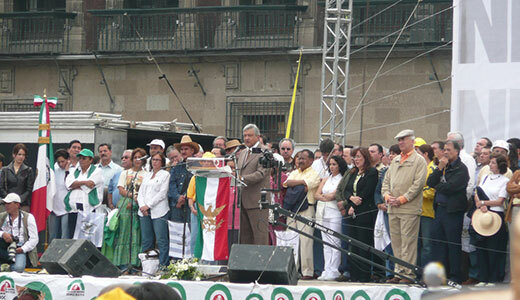 Lopez Obrador, a former schoolteacher and popular governor of the Federal District (a large state that includes Mexico City), ran as the PRD-PT’s presidential candidate in 2006. Election officials announced that PAN candidate Felipe Calderon had narrowly won the elections over Lopez Obrador. Evidence of widespread fraud and irregularities surfaced, however, as many of the final vote counts sent from each polling station did not match the numbers of people who reportedly voted. The PRD and PT staged mass rallies and protests to demand a vote recount. Electoral authorities agreed to recount only 9.7 percent of polling places and fraud was uncovered. The final recount narrowed Calderon’s lead over Lopez Obrador but the PAN presidential candidate was still declared the winner. Since the 2006 elections, further evidence emerged of electoral fraud. A 2007 documentary made by well known Mexican filmmaker Luis Mandoki, “The Fraud that No One Saw,” shows electoral authorities illegally tampering with ballots as well as sealed storage facilities for ballots that had illegally been opened. Lopez Obrador is touring the country promising to implement social and economic policies to rescue the country from poverty and widespread unemployment if he is elected president. While Mexico is an oil and mineral rich country, 52 million people (out of 101 million) live in grinding poverty, according to newly released federal statistics. Out of the 52 million, 28 million suffer food insecurity, meaning they have difficulty getting enough to eat. Each year hundreds of thousands have to leave the country, many of them to the U.S., because there is no work. 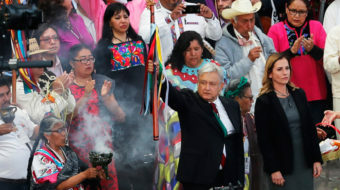 “Mexicans suffer the paradox of living in a rich country with a poor people and it is obvious that this contradiction is not because of fate, destiny or bad luck, but because of political corruption, absence of justice and bad government,” says Lopez Obrador. “We are going to guarantee a minimum of well being and security to the population, from birth to death, from the cradle to the grave,” he said, through the introduction of social programs. Mexico, a member of the Organization of Economic Development, spends one-third as much on social programs as do other member countries. Lopez Obrador, who says his government will listen to everyone but will favor the most impoverished and humble, is promising a full range of programs to the population that will include free education and health care, scholarships for single mothers and pensions for the handicapped and seniors. He says he will also tackle rampant corruption within the government. Lopez Obrador is critical of “free market” policies implemented in the 1980s and ’90s through so-called free trade agreements with the U.S. and Canada that he says ravaged the Mexican economy. 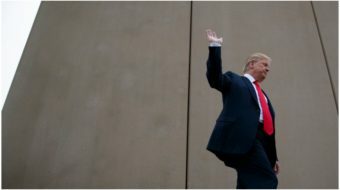 He says that the better path for Mexico would be a program of growth that involves supporting national companies, small, medium and large, especially those that face unfair competition from powerful foreign rivals; investment in research and development to foster technological development; public works programs, such as environmental reclamation projects, roads and airport construction and bullet trains to connect urban centers, to stimulate the economy and create jobs and economic support to farmers in the countryside, where food production is declining. Lopez Obrador sees economic growth and job creation as critical to resolving the drug gang violence that has swept the nation in the recent period. “The problems of insecurity and violence are not going to be resolved just with soldiers, marines, police, jails, threats of ‘mano dura’ [tough hand] or severe laws, but with combating poverty and inequality,” he says. During the 2006 elections, right-wing propaganda accused Lopez Obrador of being “a danger for Mexico” because he had the same radical agenda as Venezuelan President Hugo Chavez. During campaign speeches he has been careful, however, to distance himself from Chavez. Lopez Obrador has spoken out against expropriating goods from the wealthy and has called on business people to support his campaign. He announced at a recent meeting with the business community in Guadalajara that he will appoint Fernando Turner Davila, ex-president of the National association of independent businesses and ex-director of several large businesses, as his economic secretary if he wins the elections. Obrador favors a mixed economy with public and private participation. “We are not enemies of business people,” he says. Many consider his record to be that of a left-wing social democrat. As governor of the Federal District from 2000 to 2005, he introduced a pension for poor seniors, income support measures for single mothers, educational scholarships for poor children, a program to help thousands of homeless children leave the streets, a free health care health system for the poor and he built low cost housing. Instead of running the country with a “mano dura,” Lopez Obrador is promising to run it democratically with an emphasis on public participation. To prevent electoral fraud, he said that over the last six years he has toured the country and set up 40,000 committees to supervise and prevent the right wing from winning through fraud again. 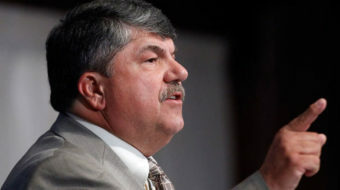 He stated that in 2006, “We did not have an adequate organization and l acted in good faith. I thought they were not going to dare [rob me]. But now we are organized and this time it will be distinct.” The committees will ensure that there are people in each polling station across the country overseeing the vote count. Meanwhile, polls suggest that PRI presidential candidate Enrique Pena Nieto is the front-runner in the upcoming elections. PAN is holding its primaries to elect a presidential candidate to replace Felipe Calderon who must step down this year because of the six-year term limit for presidents.